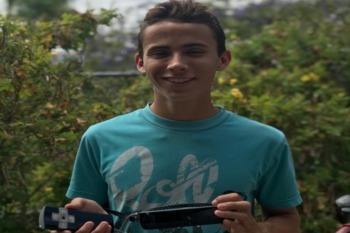 eSight is the only clinically validated device that “enables those living with vision loss to see, be mobile, and engage in virtually any activity of daily living.” The revolutionary device completely changed the life of Joel Gomez, 14, who was born with legal blindness. eSight helps him see as far as he desires, whereas previously he could barely see five feet ahead. Thanks to gracious donors, Gomez was able to acquire a pair which goes for the daunting price of $10,000. Desiring to give back, Joel is working with eSight to give a device to 13 kids from around the world struggling with blindness. The movement is called #TogetherWeSee. “Since I know what it’s like to be a visually-impaired person living in a world that isn’t geared to visually- impaired people I wanted to pay it forward to help other kids have the gift of sight,” said Joel of the fundraiser. San Diego Center for the Blind offers many programs that can significantly improve your quality of life. Please contact us to learn how we can help.